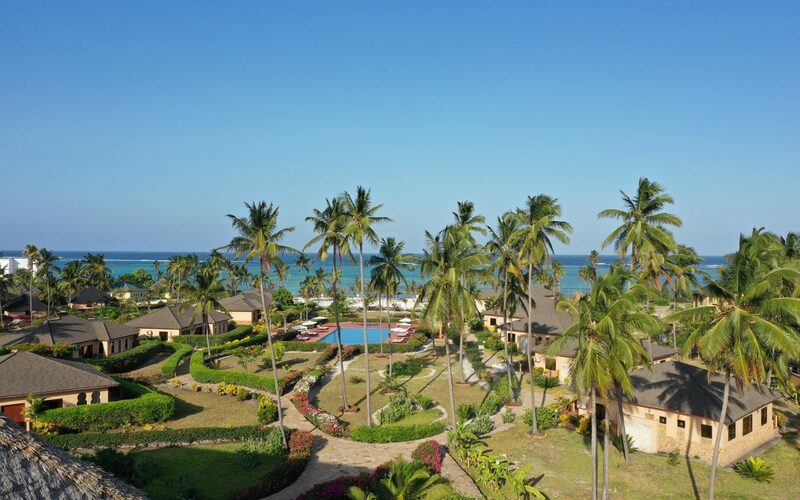 The Sands Beach Resort is located on the south east coast of Zanzibar. The beautiful and long white sandy beach of Dongwe/Bweju (voted as one of the 30 Top island beaches in the world by Condé Nast Traveler) offers the opportunity of taking long walks. Close to the reef and the Blue Lagoon with its clear and crystal water that offers a perfect spot for snorkeling and diving. The Sands Beach Resort is an idyllic place to relax and enjoy peace and total relaxation, whether it’s a poolside break or enjoying the spectacular views of the Indian Ocean. On a beautiful beach bordered by a natural forest, the hotel offers complete privacy and the experience is both restful and regenerating. It’s a great place to visit if you’re an independent traveler or looking for a honeymoon beach resort. A paradise of nature, with white beaches, crystal clear waters: an ideal destination for those who appreciate peace and tranquility.